Shogi is a Japanese game, which is similar rule with chess. There are particular different rule between chess and Shogi. Shogi can take contester’s piece and it’s possible to use. 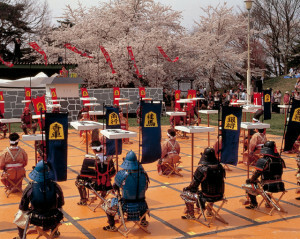 The Tendo City Cherry Blossom(sakura) and Festival Human Shogi is interesting festival in Tohoku Japan. 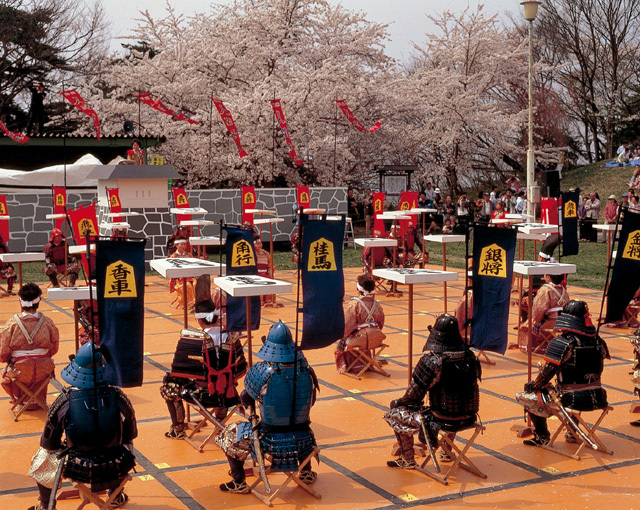 “Human Shogi” is one of the events of “Tendo Cherry Blossom Festival”, and it is that represents Tendo city to produce most of the Shogi piece in Japanese. people wear military costume of the Age of Civil Wars. They are standing on the big Shogi mat and move to according to Shogi game as the day of competition. 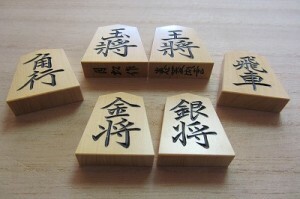 According to discovered old Shogi, from the site of castle or historic sites, it’s possible to know that nobles and a samurais made Shogi pieces by themselves to play Shogi in old time. The serious production was started end of Azushi momoyama era. Ninasekanenari, script writer of No, established “drawn Shogi piece” , which should be wrote by black lacquer and writing brush. When the Edo era began, the Iemoto System, Head master of a school system, was established. After that time, Shogi was spread out to the life of general people. The production of Shogi piece started end of edo era. The finance of the city of Tendo, Oda feudal clan suffered from serious poverty in that time. Therefore, the Oda feudal clan encouraged clansmen to made the Shogi piece, which learned the skill from the Yonezawa feudal clan once, and to rebuild finance. It is said that the foundation of drawn shogi piece by the grass style of the Tendo city tradition were built in the late Tokugawa period. 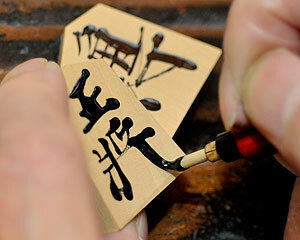 The making of the Shogi piece was becoming professional production in the Meigi era. Tendo city became the mass production place as same level with Osaka. Moreover, when entering the Taisho era, they developed the mechanisation of new technique quickly. The painter of the piece were not only adult but also children. Tendo city started the division of labor system fully supported by the town. At early Shouwa era, after introduced “The push (stamp) piece”, Tendo city grew up as the number one Shogi industrial city in Japan. However, after peak time, Showa 30 (1955), the stamp Shogi piece and the drawn Shogi piece went down the popularity rapidly. The carving Shogi piece, which start from Taisho era from Tokyo, became standard. In 40th and 50th, started experimenting high quality technique such of “carving and fill piece” and “heaping up piece” technique. 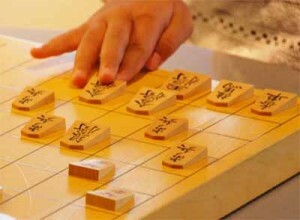 Recently, Tendo city is a famous production of Shogi piece. 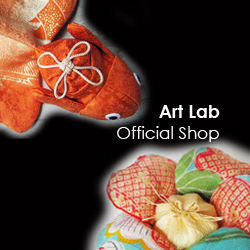 They make a variety of Shogi products, which is both general quality and high quality.